India’s Got Talent (IGT) and you are left dumbstruck at the enormity of it. The reality show is so popular that it brings Indians from far flung corners of the country to showcase their talent on national television. The best of Indian talent is on display at the show every year, making it a highly coveted stage to win on. 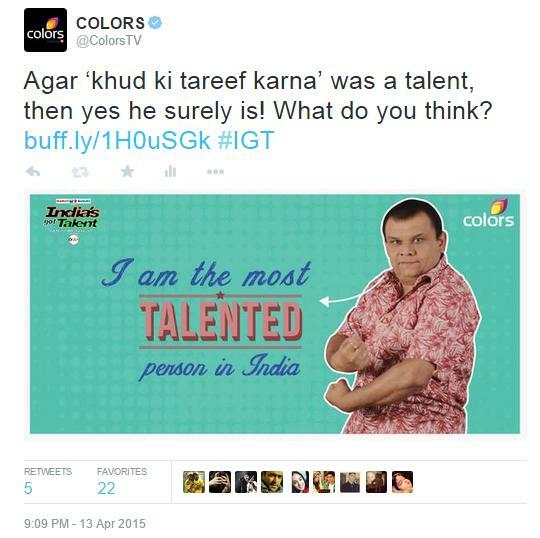 This year, Colors TV was set to launch the 6th season of IGT in April, and decided to go for a huge engagement strategy on social media. 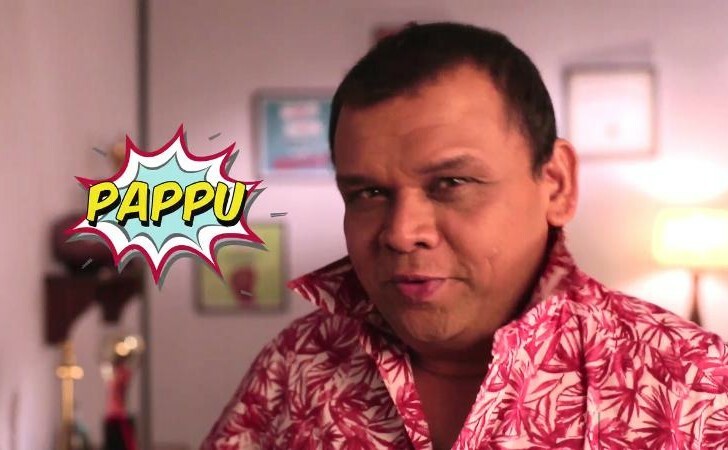 Colors TV teamed up with digital agency, Flying Cursor in a one-of-a-kind digital engagement strategy through the creation of a character named ‘Pappu’. Pappu is the quintessential smartass who thinks he can do anything and everything and does not snap a finger while claiming to be the best. In fact, he also claimed that he would win the talent show this year. Naturally, fans of the talent show had to take a hard look at him, while the channel made sure they interacted with him. The campaign was divided into three phases: the first one comprised of Pappu’s introduction, the second phase enabled annoyed fans to challenge Pappu, and the third phase sees Pappu accepting defeat and promising to drop out of this season’s IGT. 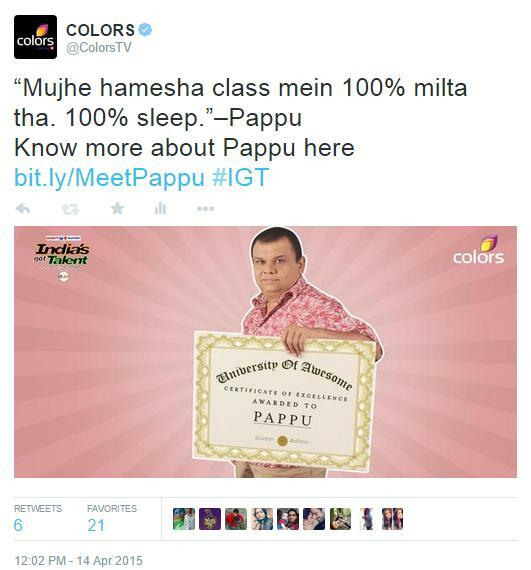 A video introduced the funky Pappu on the social media channels of Colors TV. As you can imagine, he brags about the many trophies and awards he has won and how nobody stands a chance against him in ‘India’s Got Talent’. Viewers get a taste of who should not be winning IGT at all. Pappu’s character was further emphasized with visuals; his achievements were plastered all over our social timelines. The team created and shared a number of visuals highlighting his tall claims on Facebook and Twitter. 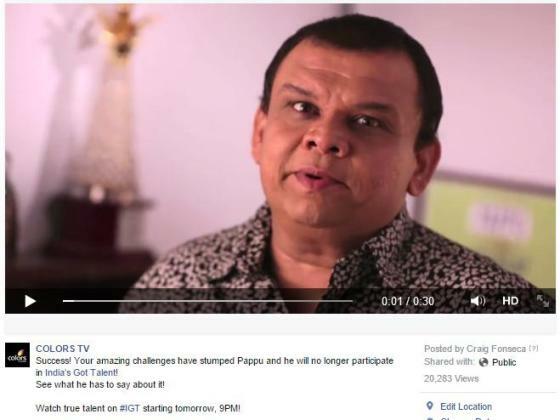 Soon the second video was shared; it asked people to challenge Pappu’s talents on Facebook or Twitter using the hashtag #ChallengePappu. And the challenges started pouring in. Clearly everyone was keen on stopping Pappu from winning India’s Got Talent! And as soon as these challenges started pouring in, the team began replying on behalf of Pappu with fun and witty comebacks. Live video content was also created with Pappu attempting a few of the challenges and completing them in true Pappu style. The challenges were so overwhelming that #ChallengePappu got nationwide trending on Twitter. The live replies and challenge attempt videos only fuelled people to #ChallengePappu even more. In the end, fans managed to stump Pappu with their challenges and he promised to drop out of this season’s India’s Got Talent. He later issued a statement that he was going to drop out of this season’s IGT. All the content later rested on a microsite, which was built as a shrine to Pappu himself. Apart from the videos, the microsite houses fun content that listed Pappu’s various records and awards won in the past. The ideation of ‘Pappu’ has been bang on. With a name like ‘Pappu’, there aren’t many expectations with this character. So a Pappu who claims ‘I-am-the-best’ is bound to ruffle up people and make them want to challenge him even more, which works in generating the right buzz for India’s Got Talent. Moreover, the campaign was well executed in phases that helped define Pappu to fans, get them annoyed and challenge him and finally add the fun quotient with his funny responses. The brand did manage to engage fans with relevant visuals and hilarious video responses, ensuring a decent buzz on social. The activity #ChallengePappu got an overwhelming response with a total of 541 challenges on one day on Twitter and generated a reach of 7.5MN on Facebook. The hashtag #ChallengePappu also trended nationwide on Twitter.